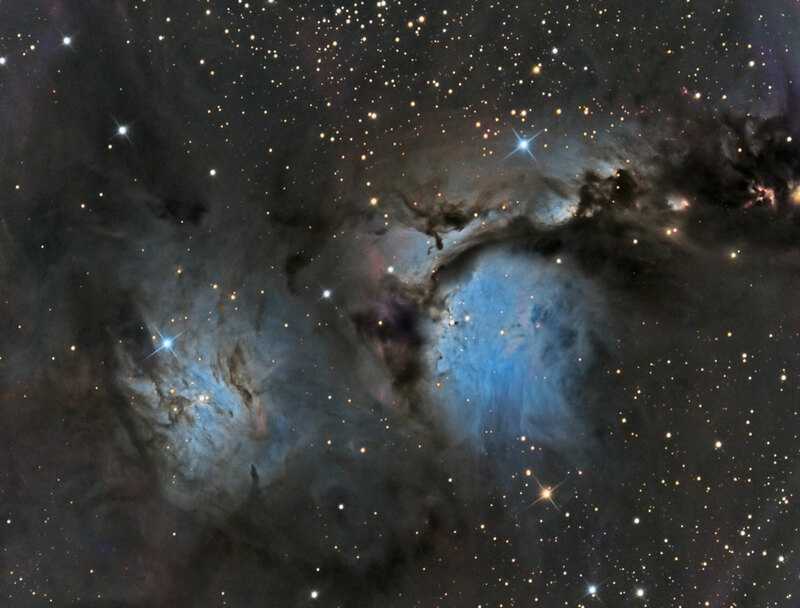 Explanation: An eerie blue glow and ominous columns of dark dust highlight M78 and other bright reflection nebula in the constellation of Orion. The dark filamentary dust not only absorbs light, but also reflects the light of several bright blue stars that formed recently in the nebula. 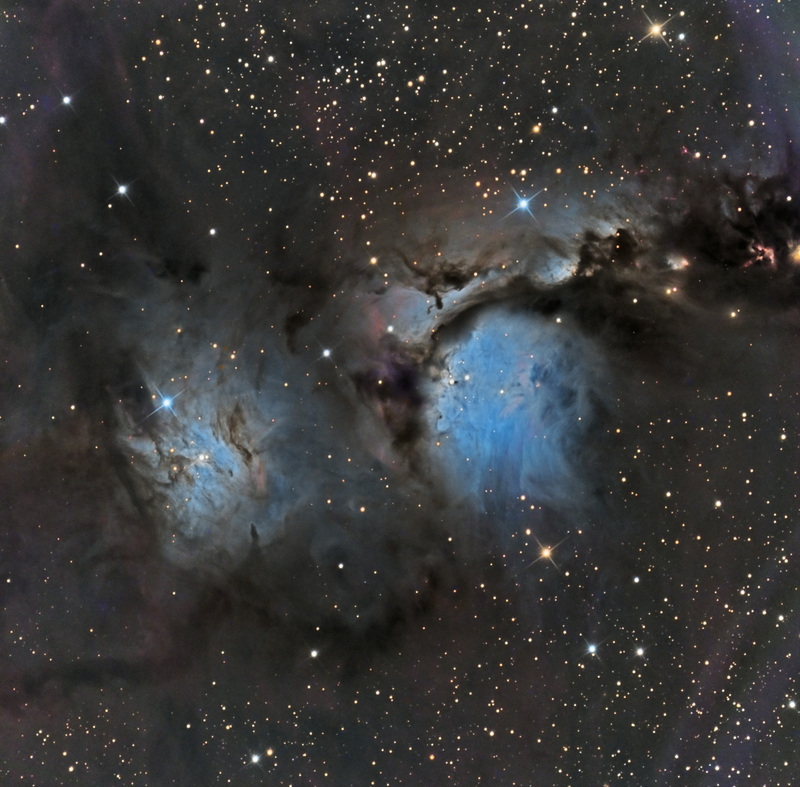 Of the two reflection nebulae pictured above, the more famous nebula is M78, in the image centre, while NGC 2071 can be seen to its lower left. The same type of scattering that colours the daytime sky further enhances the blue colour. M78 is about five light-years across and visible through a small telescope. M78 appears above only as it was 1600 years ago, however, because that is how long it takes light to go from there to here. M78 belongs to the larger Orion Molecular Cloud Complex that contains the Great Nebula in Orion and the Horsehead Nebula.